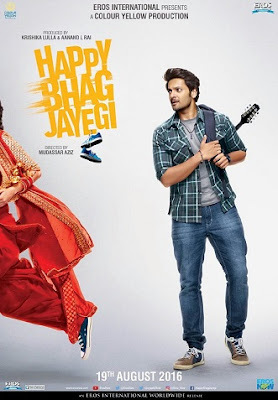 "Happy Bhag Jayegi" is an upcoming Bollywood Hindi romantic drama movie directed by Mudassar Aziz and produced by Anand L. Rai and Krishika Lulla. 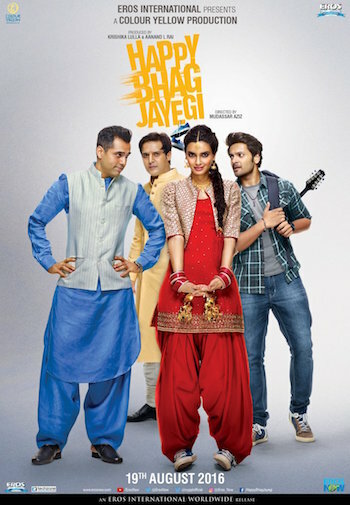 The film starring Abhay Deol as Bilal Ahmed, Diana Penty as Happy that is Harpreet Kaur and Jimmy Shergill as Daman Singh Bagga in main lead roles with Ali Fazal as Guddu, Momal Sheikh, Piyush Mishra, Lankesh Bhardwaj as Rajinder, Kanwaljit Singh, Javed Sheikh, Jagat Rawat as Fakru, Nilima Sharma and Ashu Sharma in other supporting roles. It's 3rd film of the director with Eros International after Raanjhanaa and Tanu Weds Manu Returns. Happy Bhag Jayegi film is all set to release in theatres near you on 19th August, 2016. A girl decides to sprint out of her own wedding and has two countries chasing after her! Watch beautiful Diana Penty jump borders and raise a storm! Check out their chemistry in this cross-border run-com. The Rom-Com Movie Happy Bhag Jayegi is full of crazy dialogues, Check it out here!